What difference does MolecuLight i:X make? 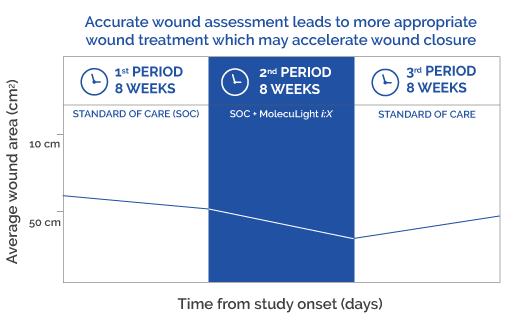 MolecuLight i:X guided treatment increased the rate of wound healing (statistically significant) compared with standard care. 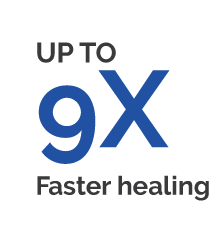 Incorporating the MolecuLight i:X into standard care helps clinicians identify and treat fluorescent bacteria which has been shown to reduce the average closure time of chronic wounds from 200 to 22 days (9X improvement over standard care). 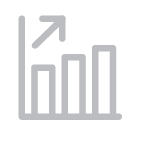 Being able to visualize the presence of bacteria in a wound can also help clinicians decide on a more cost-effective course of action. They might conclude that a simple, traditional dressing – not an antimicrobial dressing – is the best solution. 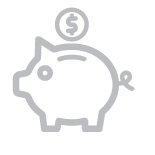 A smaller stockpile of advanced dressings means more money saved. 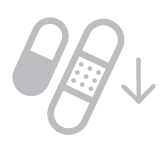 If advanced treatments are chosen, the MolecuLight i:X assists clinicians in removing bacteria prior to the application of these treatments to optimize the therapy. 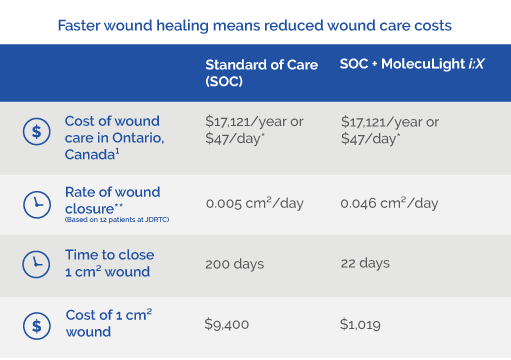 **Table illustrates wound care costs and rate of wound closure in a pilot study of 12 patients at Judy Dan Research & Treatment Centre (JDRTC), ON, Canada, when the patients were treated with Standard of Care alone versus Standard of Care with the MolecuLight i:X. 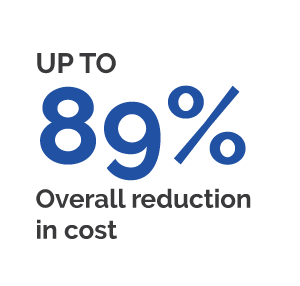 Estimated cost savings from accelerated chronic wound closure achieved with the integration of MolecuLight i:X into routine wound care. Hill R, Douglas JJ. Real-time bacterial fluorescence imaging guides antimicrobial stewardship in patients with diverse wounds. Presented at SAWC Spring 2017. Proceedings of the Annual Symposium on Advanced Wound Care; 2017 Apr 5-9; San Diego, CA, USA. Landis S, Rennie MY, Blumenthal E, Jeffery S. Use of fluorescence imaging in visualizing bacteria in chronic ulcers and traumatic soft tissue damage. Presented at AMSUS 2016. 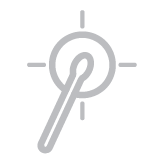 Proceedings of the Annual Meeting of the Society of Federal Health Professionals; 2016 Nov 29-Dec 2; National Harbor, MD, USA.